With cremation such a popular option, transporting ashes has become quite a common thing. There are so many reasons why you may need to transport ashes. The cremains might need to be sent to a family member, or they’re heading back to the deceased’s birthplace for interment. You may need to take them on a plane, mail them in the post, or even drive with them over state borders. 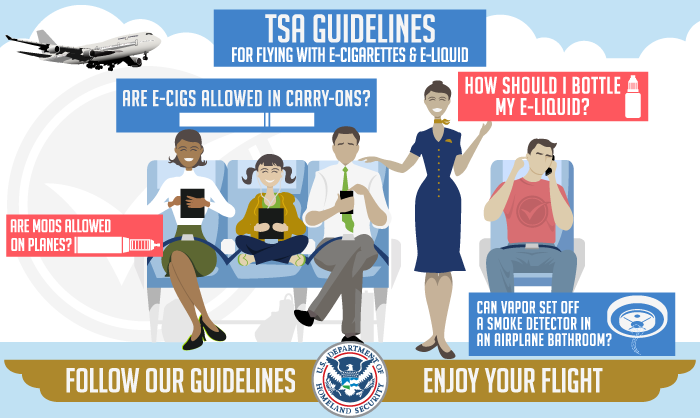 Whatever the reason, this guide will discuss the different modes of transporting ashes, the correct methods for packaging, under the guidelines of the Transportation Security Administration (TSA). After 911, airlines understandably became exceedingly strict on air security. It’s important for you to understand the specifics of transporting cremains in order to avoid postponements. When in doubt, always ask the funeral director or crematory staff who are handling the cremation process. Most airlines allow you to transport ashes as carry-on or checked baggage. Consequently, it’s important to know the proper guidelines and preparations to make beforehand, such as how to contain the ashes. Urns tend to be the most commonly used vessels for ashes, but not all of them meet airline standards. Many are difficult to x-ray because they generate an opaque image, and the contents within cannot be determined by airline personnel. 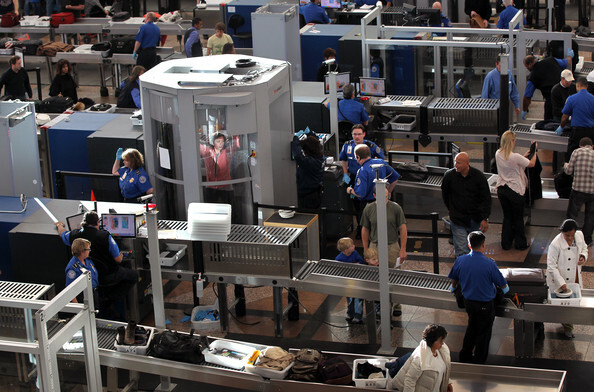 It is against TSA policy and illegal for airport employees to open the ash container to determine the contents, therefore if it cannot be x-rayed, it will not be allowed on the plane. This can usually be avoided by putting the remains into a box or other airline friendly container, at least until it reaches its destination. We will cover that in more depth later. Shipping cremated remains overseas may require a bit more planning and research. The main reason is that each country has its own set of rules to which you must adhere. When traveling internationally it would be best to give yourself more time to plan. One of your first actions should be to contact the embassy of the destination country to ensure they accept cremated remains. Additionally, you’ll want to obtain their regulations and determine the paperwork that must be completed. This can usually be done by contacting the US Embasy or the National Funeral Home Association. If you feel that making these arrangements yourself is not something you want to attempt, funeral homes can do it for you in most cases. In addition, they frequently offer airline friendly containers. The TSA was prompted to enact specific guidelines concerning the transport of ashes following 911. They collaborated with funeral homes world wide to safeguard the secure passage of cremated remains through airport security checkpoints. In the past, the only rule was to obtain documentation from a funeral home stating that the contents of the container were indeed cremated remains, but that’s no longer sufficient. It’s now mandated that all cremation containers must pass through an x-ray device. If you desire to use your own urn, the following guidelines will help with choosing the correct one in order to gain easy passage. The TSA recommends that it’s best to avoid granite, stone, or metal containers. The best type would be a light-weight structure, such as wood, cardboard, fiberboard, or plastic. These materials will normally avoid problems with x-raying. It’s illegal for airport staff to open a container with ashes. Consequently, many funeral homes, crematories, and online vendors now offer urns with screw-on lids. The lid can be permanently sealed, however that could present a problem if you decided to scatter the ashes at a later date. The optimal solution is to use a temporary container for transport and then transfer the cremains to a permanent one later. If you don’t relish the idea of handling the remains yourself, funeral homes that are partnered with TSA usually have a Remains Transfer Service. There may be a charge for this service, but it’s commonly complimentary. If cremating a pet, whether a dog or a cat, you’re also able to transport their ashes. Be sure to plan ahead and also ask the airline in advance. There is no blanket answer to what paperwork is required, especially on international flights. 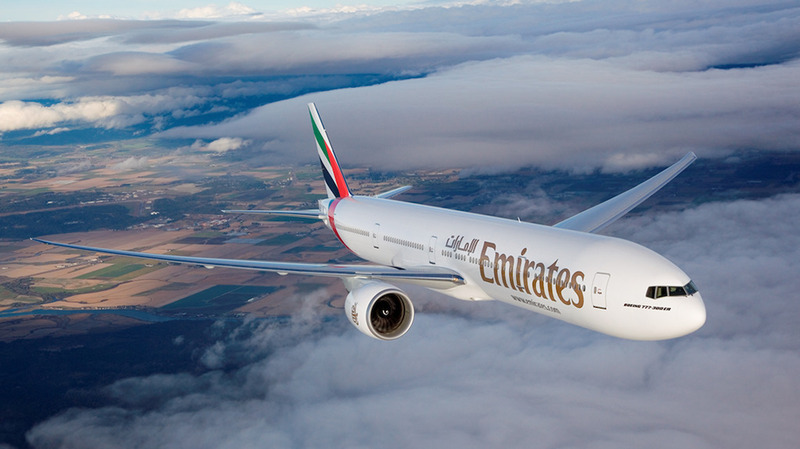 The reason being that airline rules can vary and different countries have their own regulations. Therefore, the best option is to obtain the help of a licensed funeral director at both ends of the journey, preferably one that has partnered with the TSA. On domestic flights, you will likely need the Death Certificate and the Certificate of Cremation. It wouldn’t be a bad idea to attach a copy of those along with any other essential documents to the container. On overseas flights, you may also want to contact the embassy on both ends to double check if there are any additional required documents. It would be best to make some inquiries rather than to find yourself at the airport without everything completed, and be unable to board with the ashes. American Airlines requires that you travel with the ashes as carry-on luggage. No special documentation is required on domestic flights. For international, they suggest you check with your advisor, such as a funeral director to determine if any documentation is required by the destination country. United Airlines accepts cremains as carry-on or checked baggage provided they can pass x-ray scanners, and clear explosive trace detection. You also must have a cremation certificate from a funeral home or crematorium. Delta Airlines accepts ashes as carry-on, checked luggage, or unaccompanied as cargo. You must provide a death or cremation certificate. Other requirements concerning the type and qualification of the container are the same as with other airlines, such as the ability to pass x-ray scanners. Southwest Airlines allows transportation of cremated remains as carry-on baggage only. They prefer it be in a plastic or cardboard container. They also require advance arrangements of at least 24 hours. British Airways accepts cremains as carry-on or checked baggage. You will need the death certificate and the certificate of cremation. The container must be suitable for x-ray. Air Canada also allows cremains transported as carry-on baggage. the rules for containment are as with other airlines, it must be able to clearly pass x-ray at checkpoints and pass security screening. Policies vary depending on international and domestic destinations, therefore, it is advised to contact Air Canada in advance to determine specific requirements for your particular situation. When shipping ashes, the United States Postal Service (USPS) is the only legal delivery method. In other words, UPS, Fed Ex, or DHL will not knowingly transport cremains. There are numerous reasons why you may need to ship remains. You need to ship ashes to someone else in another location. Someone died and was cremated while away in another city, state, or country, and the remains require shipment home. It’s the decision to distribute the cremated remains between family members at different locations. 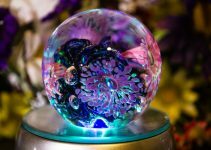 You are having the cremains incorporated into jewelry, artwork, or other devise for displaying the ashes and they must be sent to the manufacturer. The deceased has expressed the desire to have their ashes interred or scattered at the distant location. 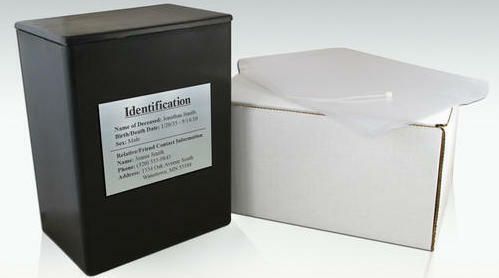 Preparing ashes for shipment involves a few more details than with a typical package. The Postal Service has guidelines to which you must adhere. An inner box and an outer box are both required. Padding, such as bubble wrap or Styrofoam peanuts should also be used to prevent any movement of the contents within the boxes during transit. Before sealing, a slip of paper containing the contact information of both the sender and recipient should be placed inside the box in case something happens to the outside label. The USPS advises that you use one of their free Priority Mail Express boxes as the outer box. 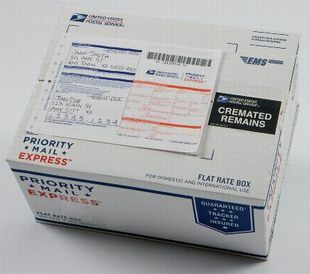 Mark the identity of the contents by placing a Postal Service Cremated Remains label (Label #139), on the outside of the box next to the shipping label. As mentioned before, the most beneficial course of action is to allow a funeral director to handle everything we have discussed here. Nevertheless, you may feel the need to take care of the arrangements yourself. If so, this guide was written for you. Shipping and transporting ashes may seem confusing and difficult, but with the correct instructions and attention to detail, it will progress much easier than you expect. Having a plan in case this situation arises is the most advantageous decision. Taking the time to make a few inquiries and ensuring that everything is in order is preferable to the avoidable delays that can otherwise occur. 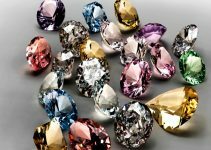 Cremation Diamonds Costs 2019: How Much Should You Pay?